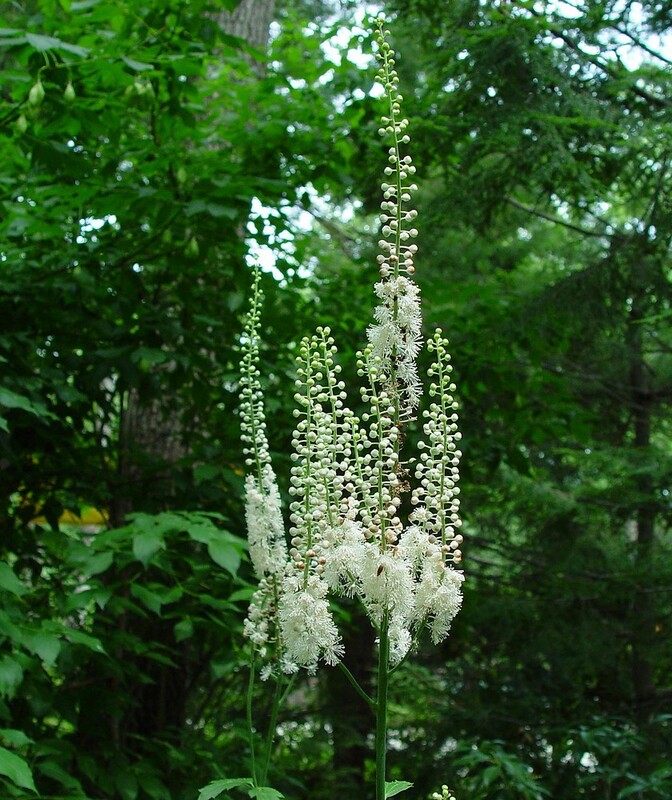 Black bugbane (aka black cohosh) grows to impressive heights (2 meters), especially when growing in neutral, moist soils in semi-shade. 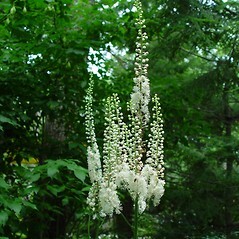 It produces drooping wands of tiny white flowers in early to mid-summer. 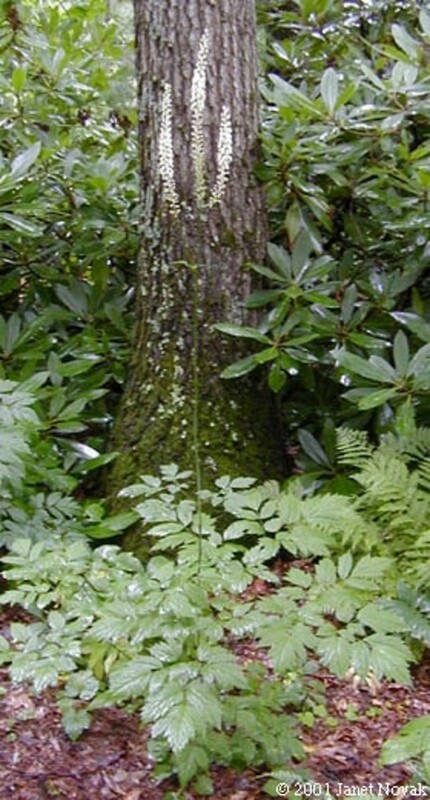 Some populations in Connecticut, Massachusetts and Maine may have been introduced as escapes from gardens. 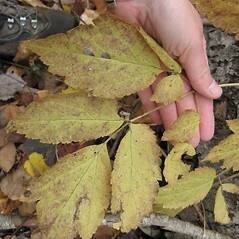 Formerly placed in the genus Cimicifuga, this species is now in the genus Actaea, along with doll's-eyes (A. pachypoda) and red baneberry (A. rubra). fruit a white (or rarely red) berry and axis of inflorescence unbranched (vs. A. racemosa, with the fruit a follicle and the axis of the inflorescence usually branched). 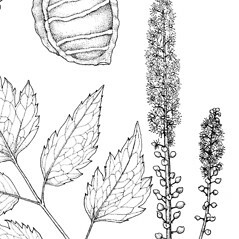 black bugbane. 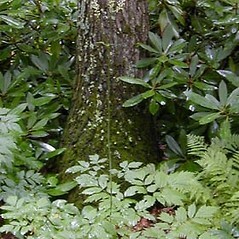 Cimicifuga racemosa (L.) Nutt. 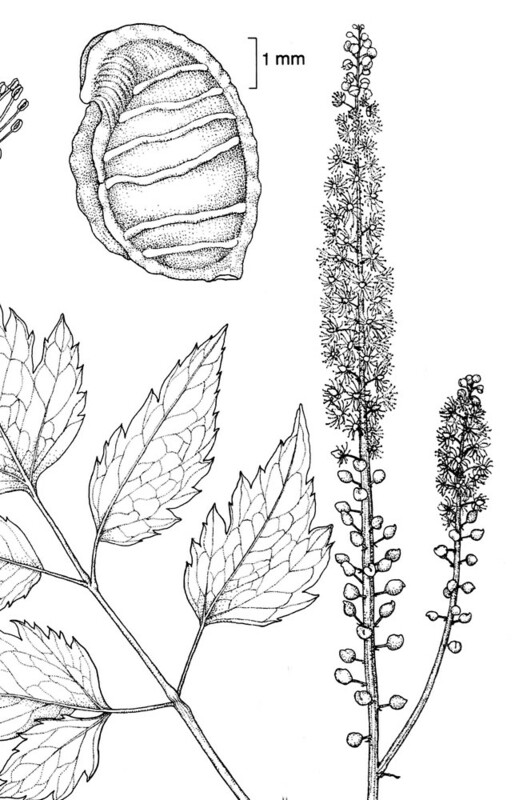 ; C. serpentaria Pursh; Macrotrys racemosa (L.) Sweet; Thalictrodes racemosum (L.) Kuntze • CT, MA, ME. 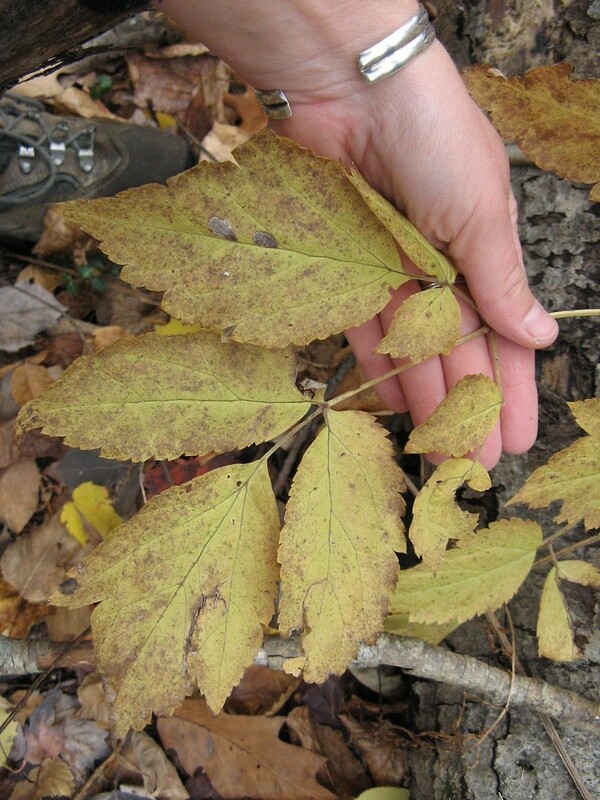 Rich, mesic, deciduous forests. This species is introduced in ME and, in part, to the other states.